Above: Three ways to say, "there's nothing really special about us?" "many managers ... mistakenly assume themselves to be in a "commodity" business. They then neglect the possibility for differentiation and customer value creation and resign themselves to competing solely on price. While we acknowledge that parts of an industry may become heavily price-competitive, we contend that seeing your product as a commodity tends to be a self-fulfilling prophecy. Through deeper research into customer needs, almost any product or service can be differentiated. Such deeper research can also be a powerful weapon to overcome price pressure by retailers." "... numerous studies have confirmed that pricing has a substantial and immediate effect on company profitability. Studies have shown that small variations in price can raise or lower profitability by as much as 20% or 50%." When it comes to pricing your products or service, what's your strategy? Do you, like 85% of businesses, base the prices of your products or services on A) materials, labor or other costs (cost-based pricing) or B) according to whatever the market bear (competition-based pricing)? 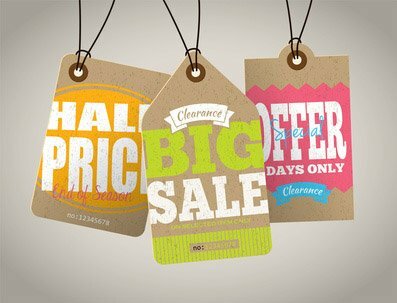 The article Is It Time to Rethink Your Pricing Strategy? from MIT Sloan Management Review suggests that far healthier way (in terms of profits) is to set prices according to Value-Based Pricing (or Value-Addd Pricing) -- that is, according to customer preferences, their willingness to pay, perceptions of value and size of different market segments. While this pricing approach is more difficult to quantify (determining a dollar value to the unique benefits your product or service offers), the benefits can be tremendous, "as much as 20% or 50%." Once a business truly understands their customers' needs and commits to filling them, however, "almost any product or service can be differentiated" and its added-value measured. "I know our product is better than the competitor's, but how can I put a price on this?" "Right now, our product isn't much different than anyone else's, but we have an idea that could set us apart. How can we can attach an added value to that feature?" What's better about your mousetrap? Is it quieter, less messy, more foolproof? Without a clearly stated benefit-superiority, there's no way to assess its added value in the marketplace. Once you've nailed down the one or more areas in which your product or service is superior, however, you're ready to start testing. And, for most of us, the simpler the experiments the better. ✎ Conducting Market Surveys, Interviews, Focus Groups, Monitor Social Media, etc. 1. What people in the marketplace are buying now so that you establish a base price. 2. What features they miss most. 3. Their impression of the unique benefit your product or service offers. Pro: Optimally, you and your customers would be building and refining the feature together! So, in addition to learning valuable information, just the action of surveying and interviewing customers helps to build positive impressions of your company. And, then acting on this input aligns you even more closely with your customers. Con: Just asking customers (or potential customers) comes with potential problems. 1) Most people have no idea what a product should cost without something to compare it against (as was often illustrated in The Price is Right game show). 2) Some people may simply say what they think you want to hear. 3) Others will tell you what they'd like to pay, but not what they'd be willing to pay. Pro: Comparing two comparable items against each other in your catalog or on your website (split-pricing) is fast and easy. One approach used by Dan Ariely, in the Psychology and Behavioral Economics at Duke University, is to run consumer tests using hypothetical dollars. The results: No one chose B, 16 chose A, and 84 chose option C, which clearly seems like the best value (especially compared to option B). Since no one chose the print-only option, how might the results change when a second group of students are offered only the first and last option? Remarkably, the preference was nearly reversed; 68 chose A and only 32 chose option C.
Feedback from even simple experiments can provide remarkable insights. As explained in the Harvard Business Reviews online article, A Step-by-Step Guide to Smart Business Experiments, "...the goal is not to conduct perfect experiments; rather, the goal is to learn and make better decisions than you are making right now. Without experimentation, managers generally base decisions on gut instinct. What's surprising is not just how bad those decisions typically are, but how good managers feel about them. They shouldn't -- there's usually a lot of room for improvement." Of course, you may find that your unique benefit isn't all that valued in the marketplace. But, if learn that it is, you want to own it! Just like consumers associate Volvo with car safety or Bounty as the Quicker Picker Upper, etc. What factors can be tested when determining value? Consumers consider both product and non-product factors when determining value. A mousetrap that can snap 2 mice, rather than just 1 would certainly be a huge product benefit factor. Non-product factors, however, can also have a dramatic effect on the purchase decision and pricing. These include things like the company and product name, product placement (where your product is sold), if your packaging stands out, how well your marketing communicates benefits and value, etc., and/or your reputation (web site reviews and social media chatter). "You are lying on the beach on a hot day. All you have to drink is ice water. For the last hour you have been thinking about how much you would enjoy a nice cold bottle of your favorite brand of beer. A companion gets up to go make a phone call and offers to bring back a beer from the only nearby place where beer is sold (a fancy resort hotel) [a small, run-down grocery store]. He says that the beer might be expensive and so asks how much you are willing to pay for the beer. He says that he will buy the beer if it costs as much or less than the price you state. But if it costs more than the price you state he will not buy it. You trust your friend, and there is no possibility of bargaining with the (bartender) [store owner]. What price do you tell him?" Two versions of the question were administered, one using the phrases in parentheses, the other the phrases in brackets. The median responses for the two versions were $2.65 (resort) and $1.50 [store] in 1984 dollars. So, even though the bottles of beer were identical and both were going to be consumed out on the beach, test subjects were willing to pay more for product purchased from an upscale provider. We've built the world's best mousetrap and decided on the premium price it's worth. What next? Don't expect your superior product to sell itself (think Google Glass). Customers aren't likely to recognize and appreciate your superiority on their own. Make sure your employees and sales staff understand why your products or services are better and deserve to be priced accordingly. And then comes the part we enjoy most, promoting your unique benefits through breakthrough advertising and public relations. If you'd like help with that, please contact us today! Value-Based pricing is not an exact science. It requires ongoing monitoring and tweaking. However, the benefits may be tremendous. Not only can optimally pricing your products or services INCREASE revenues, this approach to managing your business may also REDUCE costs. As you find what features customers value most and least, you can eliminate those features that customers don't value. "a 1% improvement in price, assuming no loss of volume, increases operating profit by 11.1 %. Improvements in price typically have three to four times the effect on profitability as proportionate increases in volume." "The single most important decision in evaluating a business is pricing power. If you've got the power to raise prices without losing business to a competitor, you've got a very good business."